Italy has been without a government since March because no political group can form a majority. The two big winners in that election - Five Star and The League - attempted to join forces on Sunday but abandoned efforts after President Sergio Matarella vetoed their choice of finance minister. Markets around the world were shaken on Tuesday over Italy's escalating political crisis and big investors shifted money into the safe haven of US bonds and German bonds, putting pressure on bank shares. What is Italy's political crisis all about? Italy has been without a government since March because no political group can form a majority. The two big winners in that election - Five Star and The League - attempted to join forces on Sunday but abandoned efforts after President Sergio Matarella vetoed their choice of finance minister. The president appointed a new prime minister, Carlo Cottarelli, a former director at the International Monetary Fund. The attempt to form a government collapsed, and new elections are now likely. Why is the crisis causing concern for global market? 1. Itay's economy, the euro zone's third-largest, has a government debt burden of €2.3tn (£2tn; $2.7tn). That is a colossal 132% of GDP and the second-highest debt level in the EU, after Greece's. 2. Cottarelli is expected to lose a vote of confidence in the Italian parliament, which in turn is likely to lead to a new election, possibly as early as July. And for years, the Five Star Movement promulgated euro-skepticism, and initially promised a nonbinding referendum on the euro. That stance softened when it became clear that many investors feared a euro exit. And if it Ieaves the euro, Italy would likely default on its debts, and its replacement currency would be greatly devalued. A default could lead to retaliation from other countries, asset freezes abroad and economic isolation. Interest rates could spike all over the world, reflecting a rising atmosphere of risk. 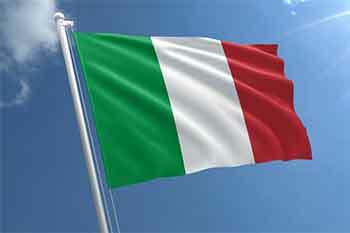 Italy sells more than half its goods within the European Union. 3. If volatility continues, Italy may have difficulty selling government bonds that are used to pay its debts and finance salaries and pensions. The only solution would be a rescue from European Union financial authorities. 4. Credit-default swaps insuring Italian debt jumped by 59% to 262bps, the highest level since October 2013, indicating deterioration in perceptions of credit quality. Impact of Euro Currency: The euro, which Italy uses as its currency along with 18 other countries, dropped to its lowest level against the US dollar for 10 months at $1.153. Impact on Bond Yield: The 10-year Italian/German yield spread rose above 300 basis points on Tuesday, meaning it has more than doubled in just two weeks. Italy's 2-year yield rose above 2%, which is significantly higher than the 2-year Greek yield and well on the track for its biggest one-day rise since 1992. This is causing serious pain for Italian banks, which are among the biggest holders of these bonds. Their balance sheet and ability to raise financing on money and bond markets are getting hammered, which will be ringing alarm bells at the ECB.